Angelo Schiralli is a member of the insurance and investment firm of South Florida Financial Services with offices in North Palm Beach and Boca Raton. Together with his son, Branden Schiralli, their firm's major area of practice is concentrated in buy-sell funding, estate conservation strategies, employee and retirement benefits, and financial advice. 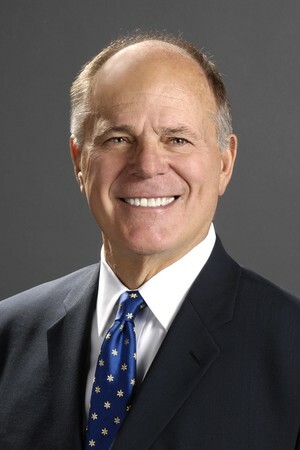 Angelo received his undergraduate degree from the University of Notre Dame School of Business and attended Law School at Valparaiso University in Indiana. He attended Notre Dame on an athletic scholarship, and played on the 1966 National Championship Football Team and was twice the Intercollegiate Heavyweight Boxing Champ. With over 38 years of experience, Angelo has served the industry with a multi-faceted career. As an agent and manager of the South Florida agency, his firm has received many local and industry distinctions. Angelo's community involvement includes Founder and Board Director of Enterprise National Bank; Past President of the Executives' Association of the Palm Beaches, 2010 "Man of the Year", Executives' Association of the Palm Beaches; Advanced Association of Life Underwriters; National Association of Insurance and Financial Advisors (NAIFA), Past President, local National Associaiton of Life Underwriters (NALU) and General Agents Management Association (GAMA). Angelo lives on Jupiter Island, Florida, and has been married for over 40 years to the former Bonnie Cameron. They have two children: Nick, who is a graduate of the University of Florida and is currently a Recruiting Director for the Denver Broncos in the NFL; and Branden, who is a Business Degree Graduate of the University of South Florida, and works with Angelo in the firm.